The Stern Grove Festival announced its lineup this week for the 2018 season. Starting on June 17, concerts will take place each Sunday through August 19. 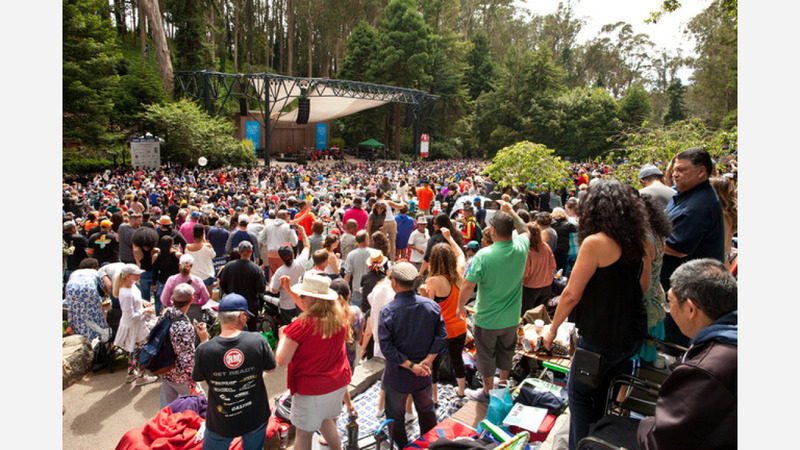 Set in an outdoor amphitheater nestled inside 70 acres of eucalyptus forest, concerts are admission-free and seating is on a first-come, first-served basis. This year's The Big Picnic, the fundraising event that kicks off each season, will feature R&B singer-songwriter Peabo Bryson and four-time Grammy nominee Jeffrey Osborne. The Big Picnic is a ticketed event that takes place before the 2pm concert which raises funds for the festival's performances and arts education programs. Kool & the Gang perform at The Big Picnic in 2017. Other artists performing this season include Ziggy Marley, Mexican Institute of Sound, Anoushka Shankar, Femi Kuti, The Revolution, and Ronnie Spector and the Ronettes. Returning for their annual summer performances are both the San Francisco Ballet and the San Francisco Symphony. The Symphony has taken the festival stage every year since the venue's inaugural concert in 1938. This year will also include a noon pre-concert artist talk at Stern Grove's Trocadero Clubhouse. 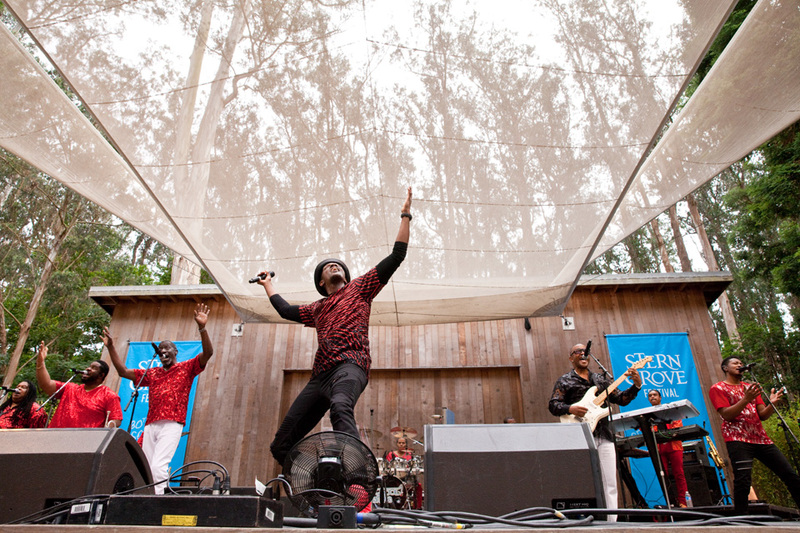 This will also be the fourth season that Stern Grove has commissioned local performers to create original works. Contributing artists include The Humidors, Big Blu Soul Revue and Oakland ensemble Sol Development. In addition to concerts, the festival also presents a series of free arts education programs for Bay Area children between the ages of 4 and 11. Kids Days are open to the public and admission free, but require advance registration.